WebmasterDeveloper.com is a privately-held partnership based in San Diego, California, specializing in web site design, web hosting, database design, and Internet marketing. With years of experience in both computer technology and marketing, we are uniquely suited to provide you with the finest quality products and services. 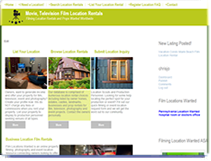 Samples of recent past work and clients that use our hosting and webmaster services. Chris Johnson lead project coordinator and the staff at WebmasterDeveloper in San Diego, California have been extremely helpful to our Company with redesigning, SEO implementation and updating of our current web site. As a manufacturer of specialized products with global customers, it was very important for us to choose a web design company that could provide the time and effort to address all of our requirements for this update. We especially found Chris easy to communicate with and were impressed with her design suggestions, patience and professionalism. 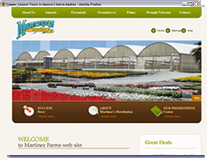 Webmaster completed our Company website update faster than we thought possible and at a cost that was very reasonable. I would highly recommend Chris and WebmasterDeveloper to any person or business looking to update or design a website. As owner of Professional Bartending Schools, I have had the pleasure of working with WebmasterDeveloper.com for many years. As a current client it is a genuine pleasure and honor for me to recommend this company. This company has providing me with excellent and efficient service and have always been personable in helping me build my business. They have assisted me with any and every web related need with diligence and meticulous quality. I can wholeheartedly state that they are and have been great creative developers with full services. They have always executed my requests with professionalism, quality and a great sense of urgency. They have been very thorough in aiding me to build my website(s), covering all aspects such as creating new sites, modifying my existing sites while efficiently managing my pay-per-click campaigns. On more than one occasion, I have called with web-related emergencies. During these situations, I found them to be committed and effective with their solutions. Please accept this letter as my personal and professional endorsement for I have recommended them in the past and I will continue to recommend them in the future. I learned of WebmasterDeveloper.com through an organization I was involved with. Having had two rather disappointing webmasters in the past, I was hesitant to switch again only to be let down again. Finally, I was desperate enough to switch—and promptly wished I had done it sooner. The staff at WebmasterDeveloper.com are everything I had hoped for: knowledgeable, affordable, quick, and PATIENT! Perhaps most importantly, they helped me know that they had everything under control and that I no longer needed to worry about my web site. They even made me laugh when I was losing my sense of humor. They took my design ideas and gave me suggestions for improvements. They walked me through each decision, brainstormed with me when appropriate, and created a finished WordPress site that was aesthetically and functionally better than I had originally designed. Then they patiently taught me how to update the site myself. And, when I still need them to edit or fix something, they respond quickly and are easy on my bank account. Testimonial from: Eaton Canyon Treatment Center, Eaton Canyon Medical Billing currently in development, Eaton Canyon Foundation in Pasadena, California. It is imperative that the word gets out regarding the website design, webmaster and internet services that my (3) businesses have received from webmasterdeveloper.com. 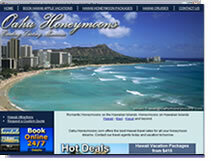 Each website was completed from start to finish within (7) days as promised. Their staff was extremely patient, understanding and professional in this process. With there extensive experience, there team was able to take my dated, non producing websites and bring them to a level of competitiveness in each respective industry. I am proud to say that my minimum financial investment has produced a maximum financial gain! 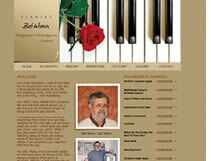 Want to thank you and your team for your work on our web site and the print layout of our festival program. You are responsive, fast, knowledgeable, and easy to work with. 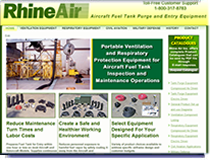 Your team was always available to assist us with our web site needs as well as timely on last minute changes. The San Diego Black Film Festival was established in 2002 and is hosted each year by the San Diego Black Film Foundation, a nonprofit 501(c) organization. The San Diego Black Film Foundation is dedicated to the preservation and promotion of African American and African Diaspora cinema as well as the education of media arts. Held each year in late January, the San Diego Black Film Festival is one of the largest black film festivals in the country. Thanks for all your hard work on the 2012 SDBFF. Looking forward to working with you on the 2013 festival. My experience with my first web designer was terrible. Days and sometimes weeks would go by without any changes being made. I’m embarrassed to show you what they eventually produced for me for the first $500 I paid them, and then they had the nerve to ask me for another $500 to get it close to what they promised for the first $500. I threw that on the scrap heap and hired another designer. Did a good job of getting it set up, but when it came to loading the content, it took over a week to load one page and it looked like it had been done in 5 seconds. 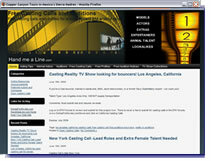 In desperation I contacted a friend of mine in Arizona, as I love his web sites. He put me in touch with WebmasterDeveloper and the experience has been great. The project coordinator, Chris in particular has been outstanding because she not only go the other landing pages up and running…in under 1 week I might add!! But she also made suggestions and made these pages come alive. Again, always checking with me first to make sure it was what I wanted, but I can tell you in every case it is what I wanted. WebmasterDeveloper came in ahead of schedule and exactly on budget!! I can’t thank you enough!! I found myself in need of a new web developer to work on my site and then also learned my current site was pretty outdated. I was put in contact with WebmasterDeveloper.com. As they knew I was interested in a number of changes and that I also wanted to manage my site myself upon completion, they recommended rebuilding it on Word Press, making the changes I wanted and then training me. I have to say I have been very impressed with WebmasterDeveloper.com. . They have been very professional, courteous, creative and completed my project in a timely manner meeting or exceeding my expectations. I am now trained and have completed my first tasks myself. I am sure I will have plenty of other questions as I move along, etc. but I love my new site and I am so grateful for their help! I would definitely recommend them to anyone else in need of a web site. Prior to starting Pacific Legacy Homes, I made a 20 year career in professional engineering consulting. I made client satisfaction a high priority in order to survive. That same commitment to the customer experience is just as important in the homebuilding space. Likewise, I expect the same from vendors and consultants that we engage. We were in need of an immediate solution to an issue with the lead generating forms on our web site. Those leads are our lifeline in a very challenging homebuilding environment. We cannot afford to lose any new lead. I searched for firms that could provide responsive solutions. I was fortunate to have found WebmasterDeveloper. After a short conversation about the issue, they quickly diagnosed the situation and routed the problem to the programmer for follow up. Both staff members recognized that this was important to us and made it a priority without me having to say as much. The issue was resolved quickly and efficiently. Your firm has been exceptional and exceeded our high expectations. So, I thank you very much for that effort and your solutions. I would recommend WebmasterDeveloper to anyone. ASP.NET Programming & Webmaster services. To provide the best service we are able to our customers. To perform our services as quickly as possible to minimize our customers expense. To help our customers improve their long-term productivity and profitability. While we can--and do--provide services for clients worldwide, we concentrate on providing professional web hosting, web design, webmaster services, and application development to clients in Southern California and Arizona. 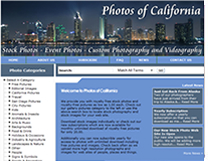 We were in desperate need of a website when I called webmaster developer for help in creating one for our business in Chula Vista. Chris Johnson the project coordinator from webmaster developer was patient and professionally skilled and finshed our site very nicely and with great optimization. All questions and concerns and great tips on what to add to our site to help create traffic were given as we completed the site together. I have no complaints and highly recommend any association with webmaster developer. Thanks again for all your help in this effort and I look forward to reporting to you how the search engines have helped to bring in new business for us! I feel very fortunate to have found WebmasterDeveloper.com. I was in need of someone to build my web site and was in the dark about most things computer related. They were so helpful in all aspects of the site building process. Their patience, availability and knowledge would be hard to match. On top of all that, the prices for their services were phenomenal. I felt that they were undercharging me. If anyone needs help building a site, look no farther than Webmasterdeveloper.com. J. Scollard, Valley Center, CA. 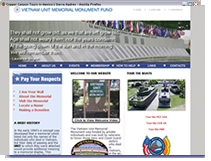 Vietnam Memorial: I was able to access the database lookup functionality you created. I entered several names that I knew personally and they all showed up perfectly on the selected panel. It worked extremely well with several selection criteria available. Nicely Done! You guys have done a great job with the schedule on this project. You’re staying ahead of me on my ability to keep up. I will be forwarding rave reviews from our members on the video and photography shoot you did on memorial day weekend. I’ve worked with WebDev for more than 10 years on a number of web sites. We started building a new web site, basically from scratch, when there were relatively few web sites and the software to build a web site was being developed. WebmasterDeveloper.com has been a savior for us more times than I can count. 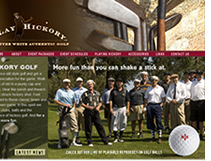 We feel extremely fortunate to have worked with this company on our newest web site www.glenbrooktahoe.org and we look forward to a continuing a great developer/webmaster/site owner relationship. My name is S. Boyle, I purchased a internet travel agency in 2007. Not knowing what I had taken on was a complete novice regarding the internet world let alone web sites. The company I bought had been in business since 1998 and the sites were all done in Front Page. After I purchased the company it didn't take me long to understand the sites were tired, out of date and needed a complete makeover. I was completely overwhelmed with the webmasters that I interviewed and gathered information as to how to handle this monumental task. wouldn't let me go that way. Speaking to Chris Johnson, project manager at WebmasterDeveloper many times as to what to do and the counsel she gave me was invaluable, however time and time again the previous owner was not sold with changing anything. After months of counsel Chris was the only webmaster that absolutely was convinced not to tear them completely down because of my presence on the web. A company that has been in business for over 11 years active on the internet this would have destroyed me. They rebuilt my sites, keeping my presence on the web intact and did a brilliant job in building beautiful sites-especially with what they had to work with. I will always be eternally grateful to WebmasterDeveloper, I would not have a flourishing travel business without them. A few years ago, my company, the largest publisher of advertising artwork from television commercials, created the first ever animation art lines for companies such as Coca-Cola, Anheuser-Busch, M&M/Mars, Pillsbury, and many others. At the same time we were doing this we started another division creating the first ever celebrity rubber ducks of the greatest icons of film, music, athletics, and history. We now produce CelebriDucks for the NBA, Major League Baseball the NHL, NASCAR, NCAA collegiate mascots and famous people such as Marilyn Monroe, Elvis Presley, The Wizard of Oz, KISS, Barack Obama, etc. To date we have produced over 200 CelebriDucks and pioneered a whole new collectible. Our company began to get extraordinary publicity having been voted one of the top 100 gifts by Entertainment Weekly and featured on The Tonight Show twice, CBS Evening Magazine, CNN, and hundreds of magazines and newspapers and TV networks around the world. Still, we noticed that our PR efforts were falling short, particularly in terms of our internet SEO marketing. And that's when we met WebmasterDeveloper.com What a find! Chris Johnson the project coordinator and SEO consultant completely transformed our marketing efforts here. The results we got in just in the first two weeks were absolutely amazing. She is one of the most intelligent, diligent, and easy to work with professionals I have ever had the pleasure of dealing with. Apart from her tremendous technological knowledge and capabilities in the field of internet marketing, she is one of the nicest people you can imagine. Because our company works with so many celebrities, estates, professional sports franchises and some of the largest corporations in the world, it is very important who we are associated with. Thus having Chris working unceasingly to maintain and enhance our image in the world has been invaluable. I would highly recommend her to anyone and am more than happy to be contacted at any time to provide a reference for both her and her company. When searching for a company to over haul our web site, Webmaster Developer's professionalism and depth of knowledge made them the clear choice. They took time to understand our needs and were always available to answer my many questions. vendor that delivers consistently high levels of service. I strongly recommend Webmaster Developer. You are extraordinary people who have given tremendously of yourselves to assist us and you always do excellent work. Your integrity and pride of workmanship is evident in all that you do. We are always praising and recommending you to others.